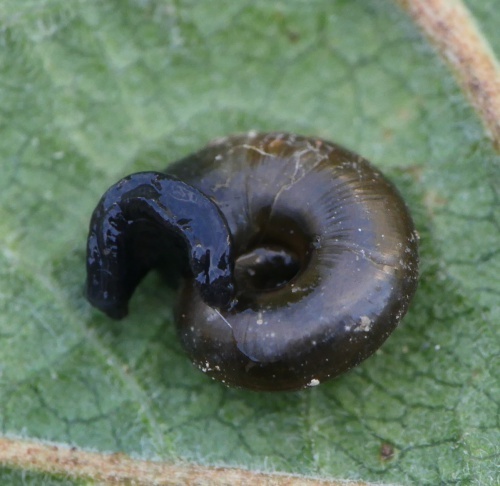 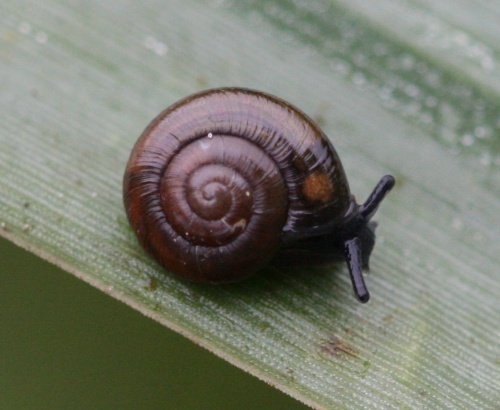 The shell is 6 to 7 mm wide, 3.5 to 4 mm high, dark brown and shiny. 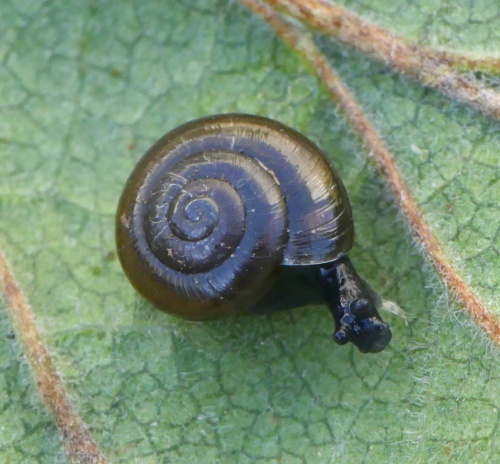 The shell has irregular, low wrinkle-like striae and a total of 4 1/2 to 5 whorls. 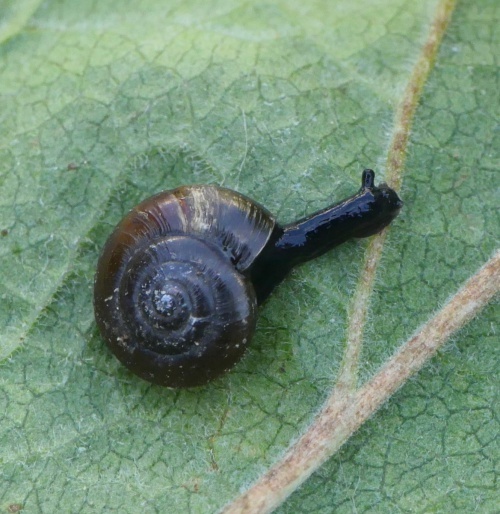 The body of the snail is black with a dull orange spot on the mantle. This orange spot can be seen through the shell in contracted individuals. 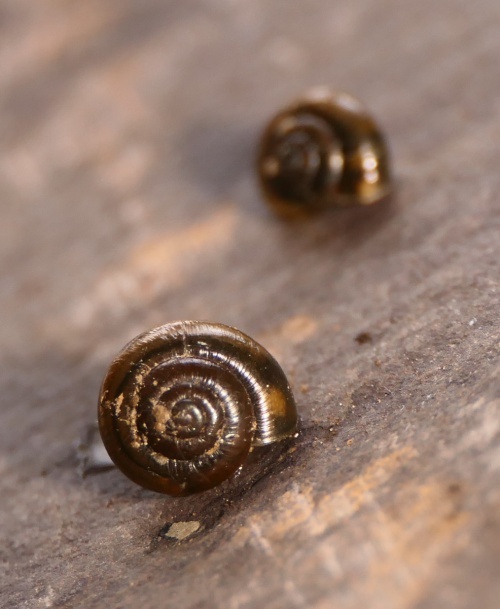 Unless identified by a recognised expert, a photo should be attached which shows the characteristic orange spot or in the comments box, describe the size and identifying characters. 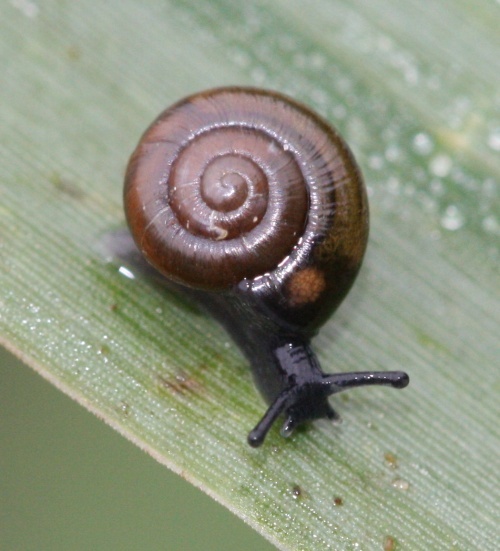 This species generally lives damper areas such as marshes, greenhouses and wet areas along the edges of rivers, lakes and ponds where it can be found under wood, rocks, and vegetation. 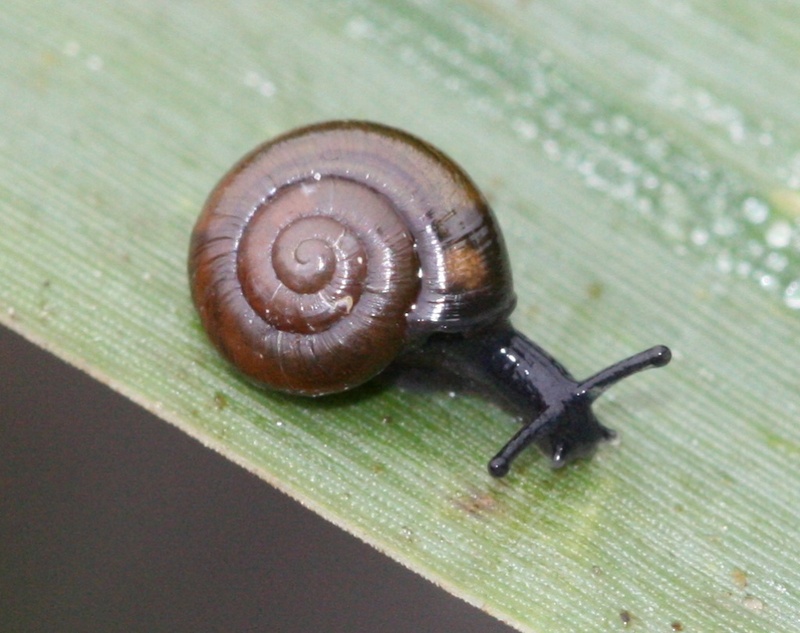 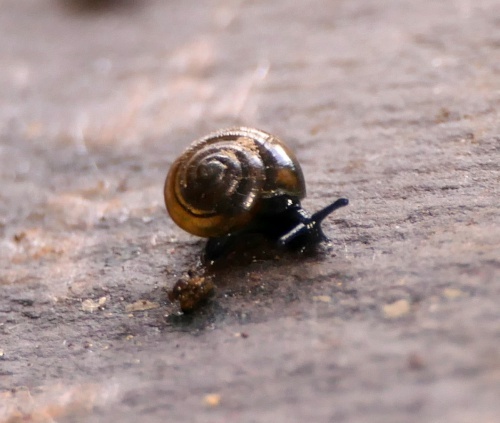 These snails are carnivores and have been noted to be cannibals. 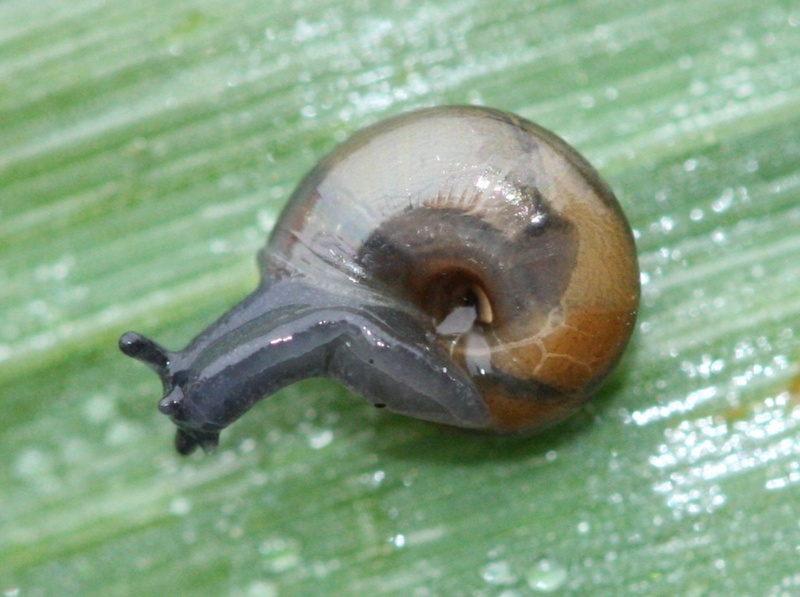 This species reproduces mainly by self-fertilization. Widespread in Britain, though less common in northern England and Scotland.